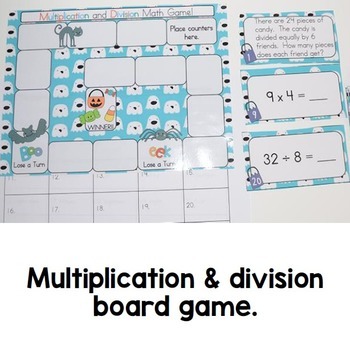 I made the following for my students to play during math stations. 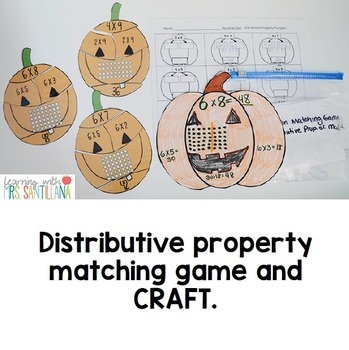 They review multiplication and division problems. 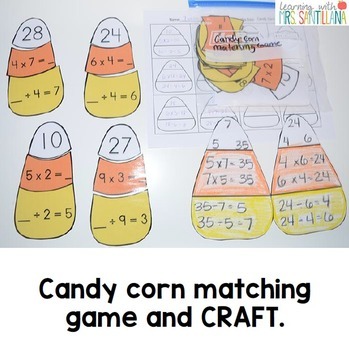 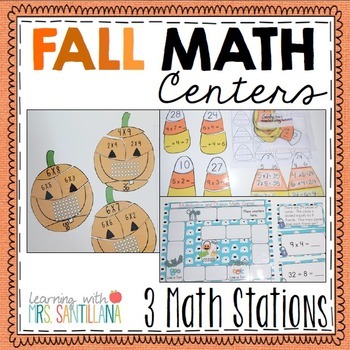 2nd - candy corn matching game with recording sheet, answer sheet, and craft idea.